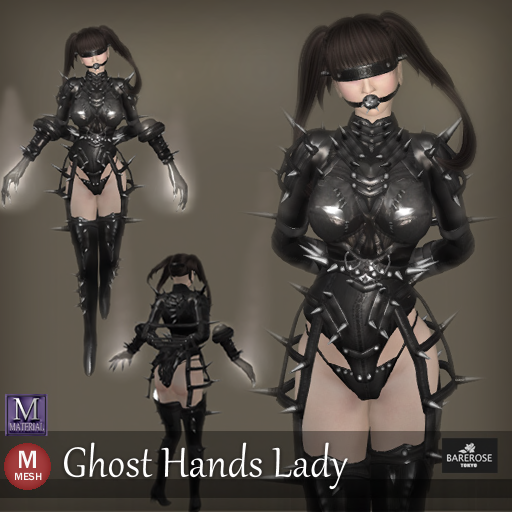 The Ghost Hands Lady is a unique and fun outfit for the Halloween from Bare Rose. It comes in black and a lot of thorns all over. So it is the right outfit when you want to give a scare and make sure everyone is not anywhere close to you. The outfit is named Ghost Hands because you can actually hide away you whole hand and let it goes with the invisible and floating gauntlet. Now, isn't that cool? I bet you can win the Halloween costume prize tonight! To add to the awesomeness of this outfit, you can even add on a caged attachment which is a total replica of what an Iron Maiden might feel, minus getting actually poked by the sharp needles.